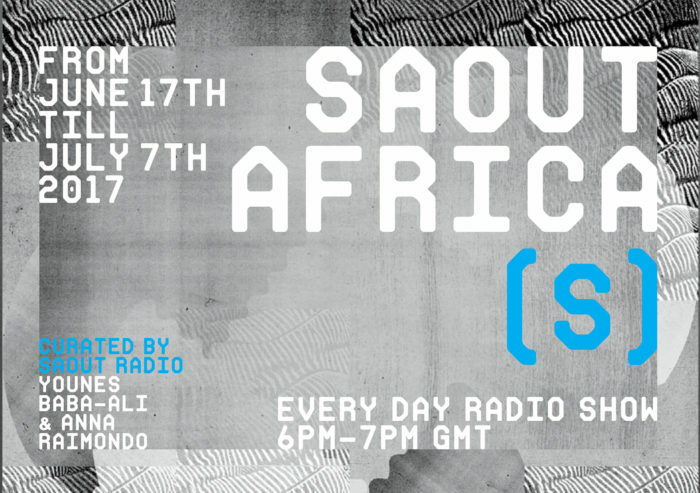 Saout Radio is a platform and a web-radio dealing with sound and radio art, mostly focused on Maghreb, Africa and the Middle-East. As sound can easily travel across borders and does not need a visa, Saout Radio represents the space between the local and the international, the FM radio and the public soundscape, the virtual and the physical. Saout Radio reunites sound works of diverse genres, destined to be broadcast throughout fm radios and internationally diffused or shown in a variety of spaces for diverse audiences. In doing so, Saout Radio works towards encouraging a south-south dialogue in sonic art fields and promoting an international exchange between people and structures. 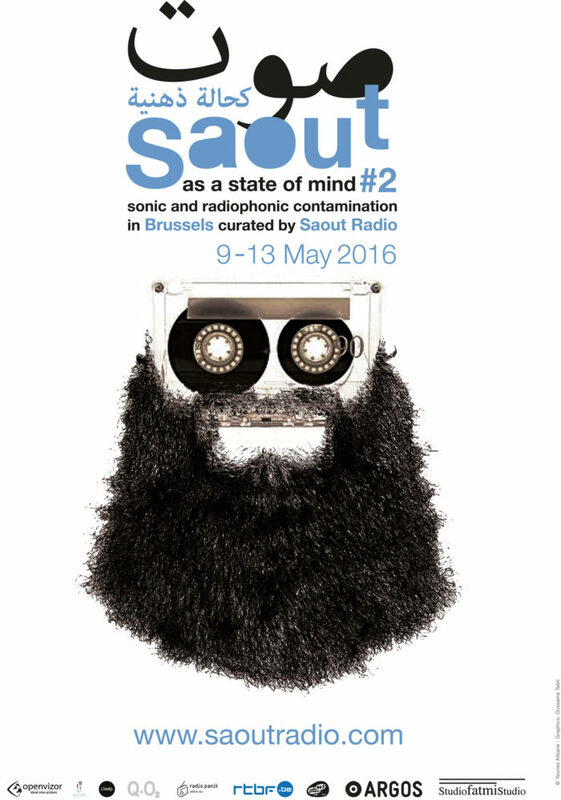 Acting as an educational project as well, Saout Radio is also a meta-radiophonic place where uses of sound for artistic purposes are shared through workshops, itinerant listening sessions and debates. Saout Radio is not about sound for sound’s sake. In its philosophy, sound is rather interpreted as both a physical and social tool, able to create new possibilities, to suggest movements, to generate a public dialogue, to contaminate the urban space or to be an intimate mirror. Radio art and sound art are interpreted here as a way to explore experiment and expand aesthetic possibilities, but also as a way to create and diffuse knowledge. Saout Radio is a space in where artists, academics, curators, cultural actors and the public are invited to participate to generate an international community of listeners. 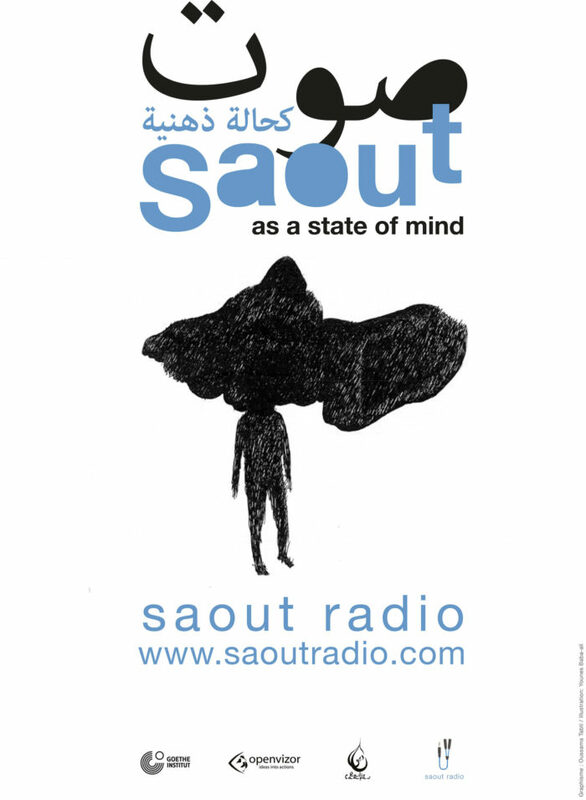 Saout Radio was founded in Morocco in 2012 by Younes Baba-Ali and Anna Raimondo. Affiche "Saout as a state of mind #1". Affiche "Saout as a state of mind #2".